If you met Mr NQN and I you would know pretty quickly that I am the chatterbox while he is the quiet one. He may not even utter a single word during a night while I will not stop talking. But even sometimes his introversion surprises me. Last year we came back from an Azamara cruise around the Mediterranean. We visited several different cities from Barcelona, Mahon, Palma de Mallorca, Monaco, Nice, Corsica, Florence, Livorno and Rome. I asked him which was his favourite. He pondered the question for about 30 seconds before he resolutely said, "Mahon", a town on the small island of Menorca. I looked at him, surprised. "Mahon!? Out of everywhere that we went?" I exclaimed. I'm not disparaging Mahon, it is perfectly lovely but we just happened to visit the very Catholic town on a Sunday where everything but a handful of shops were closed and the only people we saw in the main area were fellow cruise guests! "Umm yeah," he mumbled. "But it was nice and quiet and there weren't too many people around," he said. I do love the fact that he is such a quiet, contemplative soul but it did make me giggle. I pictured his travel guide book - "An introvert's guides to Sundays around the world where you only see six people," whereas mine would be "Meet lots of colourful locals and go to their house for lunch." Anyway, this cake. 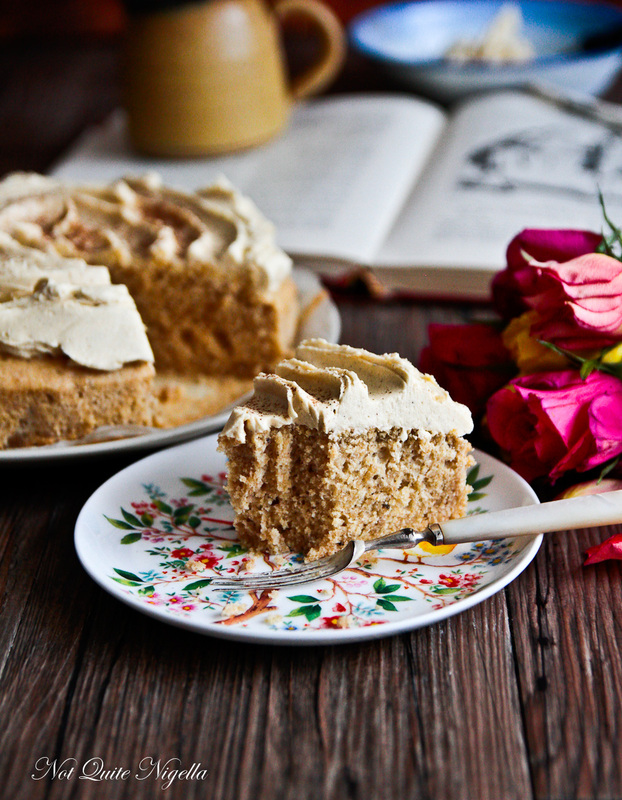 This amazingly delicious, fragrant cake is a spiced chai cake with aromatic spices in the cake itself as well as the icing. The cake itself is soft and light but not overly sweet while the buttercream frosting provides the balance of sweetness and richness. It smells delicious while you are baking it but it is also temptingly good once baked. Another sort of odd bonus is the cake itself is not particularly high in fat because it is based on a chiffon cake recipe so if you make this without the buttercream dare I say that it is not too guilt making? So tell me Dear Reader, what's your least favourite task in the kitchen? Mine is sifting and cleaning floors. And are you technically an introvert or extrovert? Is your partner or friends similar or the opposite? Step 1 - Preheat oven to 160C/320F and line a 18cm/7.2inch springform tin with baking parchment. Sift the flour, cornstarch, sugar, baking powder, cinnamon, cardamom, ginger, nutmeg, cloves and salt from a height to aerate the mixture. 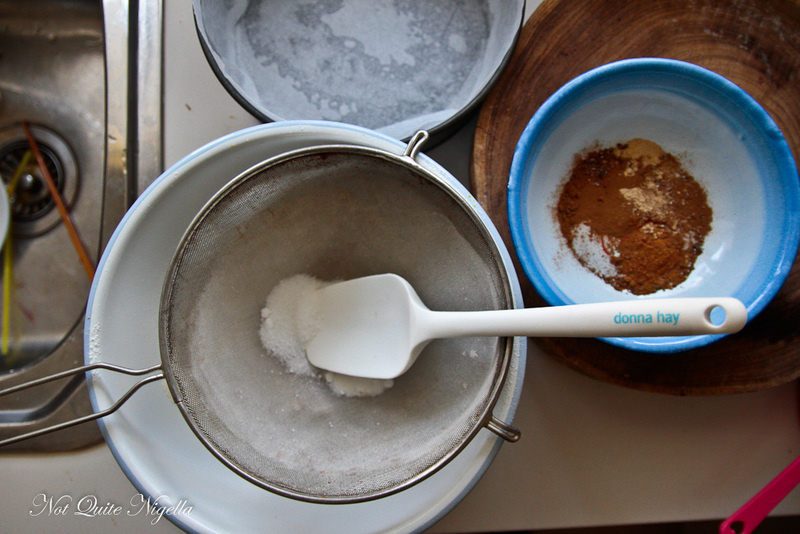 In a jug, whisk the vanilla, tea, oil and egg yolks and mix with the flour mixture. Step 2 - In a clean mixer fitted with a balloon whisk attachment, whisk the egg whites with the cream of tartar until soft peaks form. Add the extra 1/4 cup of sugar and whisk until you get stiff peaks - if you can tilt the bowl without the mixture moving then it is ready. 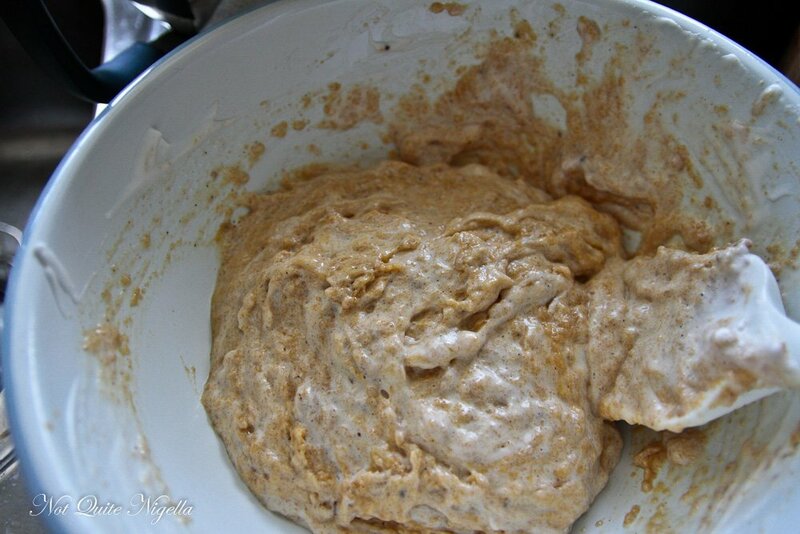 Step 3 - Add a couple of spoonfuls of the egg white to the flour mixture to loosen it. 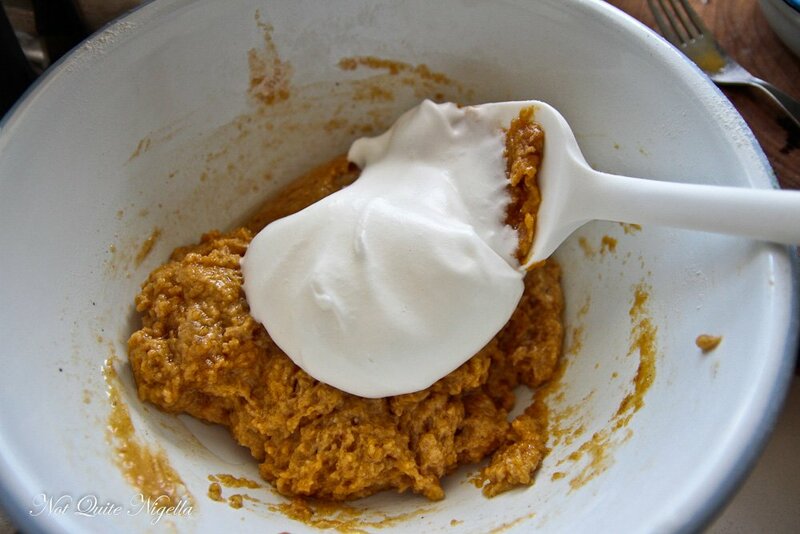 Fold throughout and add the fluffy egg white in two or three batches until it is combined and there are no streaks. Scrape into the prepared tin and bake for 35 minutes until a skewer inserted comes out clean. Allow to cool completely. Step 4 - Attach the beater head to the mixer and beat the butter until smooth. On low speed (trust me, I did this on medium speed once and regretted it), add the sifted icing sugar and spices and beat until smooth. 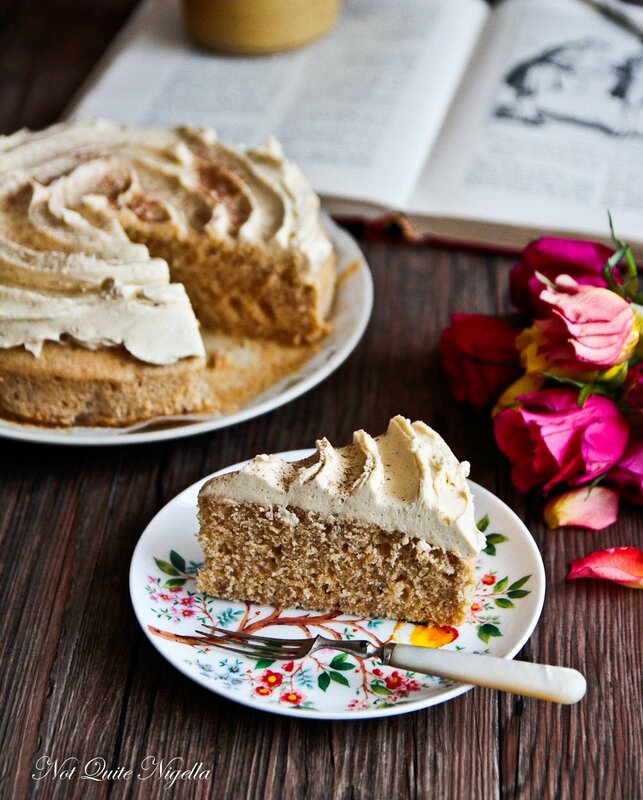 Remove cake from tin and spread the icing over the top. If you want to make the flower pattern, draw a circle around the edge with the tip of an angled spatula and then draw circles within it. 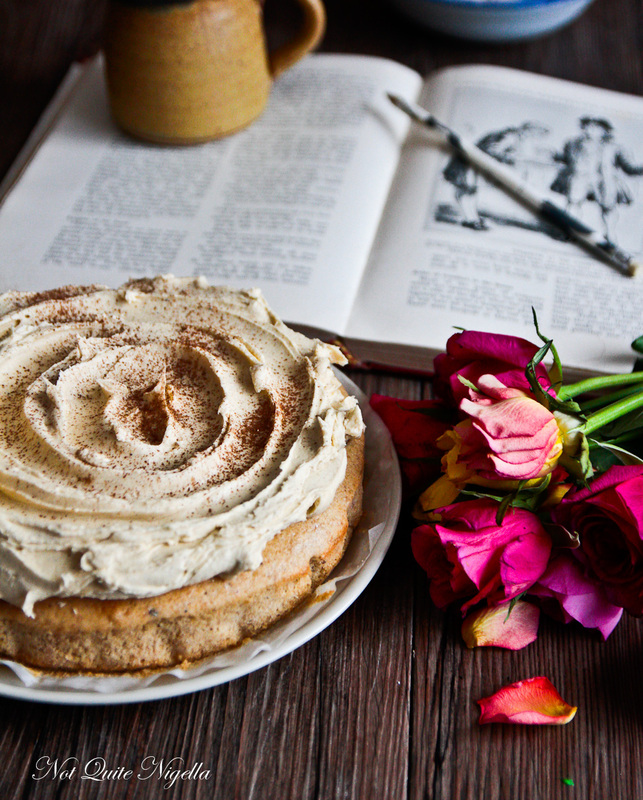 Sift a little cinnamon on top and serve with a cup of tea or coffee. Or just eat it over the sink hungrily because it is so good. featureWin 1 of 5 Madame Flavour Tea Packs! featureNQN Competition: Win a Herbies Comfort Food or Aphrodisiac Gourmet Spice Kit! featureNQN Competition: Win a set of Annabel Trends Pure Linen teatowels! recipeOur Oscars Viewing Party & A Home Made Version of the In-N-Out Burger With Video! feature Win 1 of 5 Madame Flavour Tea Packs! feature NQN Competition: Win a Herbies Comfort Food or Aphrodisiac Gourmet Spice Kit! feature NQN Competition: Win a set of Annabel Trends Pure Linen teatowels! recipe Our Oscars Viewing Party & A Home Made Version of the In-N-Out Burger With Video!